With the previous app we made attempts to heighten the experience of hashtagging. Over the past year we have received a lot of great feedback. In creating the new version of the Hashtag Roundup app we took all of this to heart. Our original concept for the points was grand. However, Twitter had different plans. We only had access to 100 tweets to calculate points. At first we didn’t think this would be an issue but then the app took off and people were tweeting well over 100 tweets from Hashtag Roundup. Since we could only track 100 tweets once you crossed 100 your points would shift, sometimes dramatically. This caused more anxiety and confusion. In some cases it made folks not want to tweet anymore because they couldn’t move on from Cadet status. We created Hashtag Roundup because we love hashtag games and want everyone to be involved and feel good about it. Points for some had the opposite effect. That was a core reason for removing it from the current application. Yes, it was amazingly convenient to be able to tweet from the Hashtag Roundup app. So we created a new version of the app that sends you the notifications, allows you to quickly copy the hashtag and then open Twitter. (or you can toggle to any app to tweet from). Using Twitter vs. Hashtag Roundup gives you FULL tweeting capabilities. 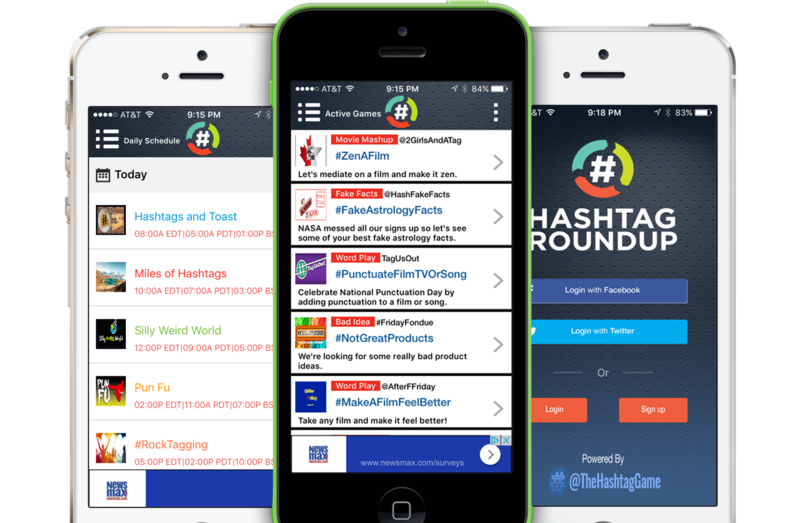 The goal of Hashtag Roundup is to get you engaged in hashtag games, not use our app to Tweet. We see this as one of the most empowering changes to the app. No more limits to how you tweet. In summary, we didn’t want people worrying about losing points, not making a leaderboard, not leveling up, etc. We want, and what we’ve always wanted, is people tweeting and interacting and having fun with no worries attached.